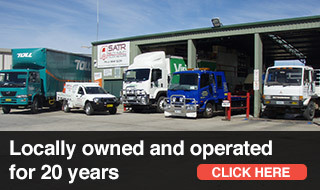 South Albury Truck Repairs began as a one-person operation in rented premises in Macauley Street Albury in 1989, and has always been locally owned and operated. 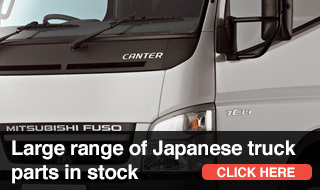 We offer a large range of quality equipment and parts for sale, specialising in Japanese trucks and buses. We supply and fit a large range of genuine and aftermarket parts, including Mitsubishi Hino, Isuzu, Hino and UD. We pride ourselves on personalised attention to detail and minimum downtime for our clientele who require their vehicles to be operational in order to run their own businesses. We provide exceptional service on each and every occasion we deal with our customers, ensuring that you continue to deal with us and securing the future of our business. We offer all our products and services at the best value for money we can wrangle. 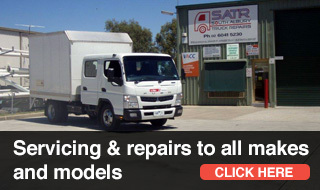 South Albury Truck Repairs offers high quality servicing and repairs for your truck, transporter or agricultural or heavy machinery. We also offer a range of genuine and aftermarket parts for sale and fitment, including Hino, Isuzu, UD and Mitsubishi Fuso. Browse our range of parts, or check out our services. Click here for more information or to book your vehicle in for a service.